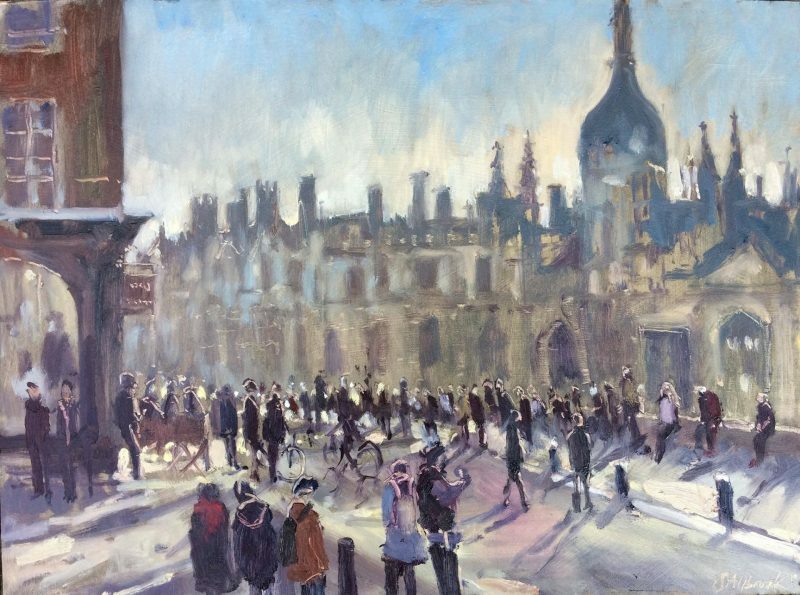 The inaugural Paint Out Cambridge takes place 13-17 May in partnership with Cheffins Fine Art. 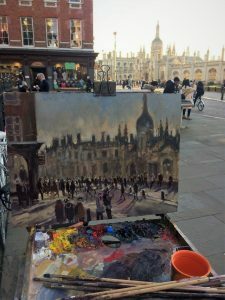 Dozens of experienced plein air artists used to working on the streets will paint Cambridge’s classic colleges, chapels and beautiful bridges, River Cam, Market Square and other views. 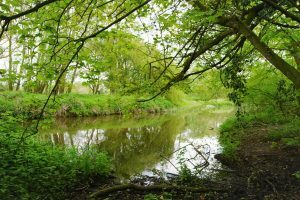 Founded in 2014, the immersive outdoor art event has already run a dozen events across Norfolk and Suffolk and has been keen to come to Cambridge for a while. 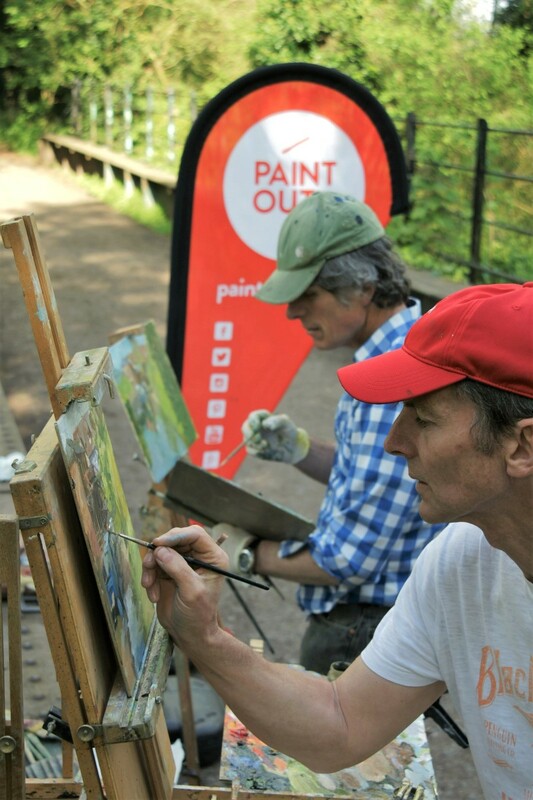 Partnering with Cheffins Fine Art has finally made this possible and the Paint Out team are excited to be running the competition, encouraging artists to capture and immortalise Cambridge’s iconic views. 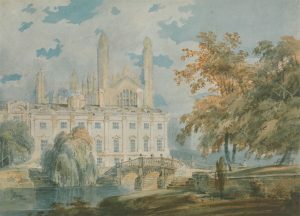 Who could resist a city that drew JMW Turner to its banks to paint Clare Hall and King’s College Chapel, whilst also being home to the Fitzwilliam and Kettle’s Yard and a series of famous art collections at several Cambridge colleges? Home to the Cambridge School of Art (now part of Anglia Ruskin University) and the Cambridge Drawing Society the team from Paint Out are keen to see local and national artists casting their creative eyes over the city and bringing their art skills to bear in classical and contemporary styles and various media that can be applied to canvas. 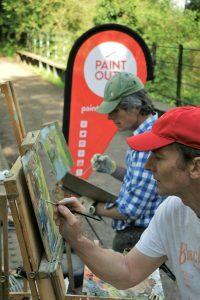 Artists can enter and find out more through our website www.paintout.events. 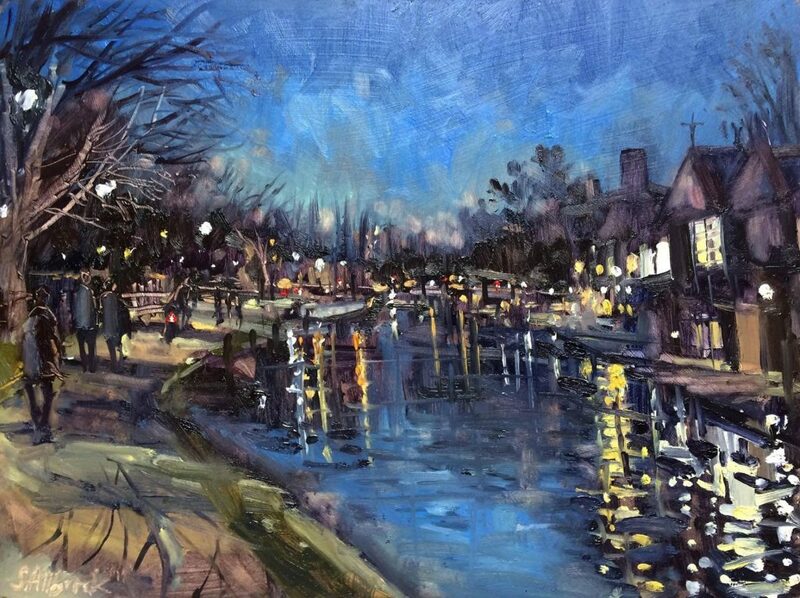 The juried painting competition is open to amateur and professional artists alike and features 3-hour and 2-hour painting sessions around the city in full public view during the days and evenings (‘nocturnes’) of 13-15 May. Three eminent judges from the world of fine art (Sarah Flynn, Alice Hall, James Horton) will select the winning pieces with up to £3,000 worth of prizes awarded at the Private View and Awards evening at Cheffins on Clifton Road, on the 16 May (more information email pv@paintoutcambridge.org). The finished artworks will remain on display until 17 May and typically range in price from £150-£850. 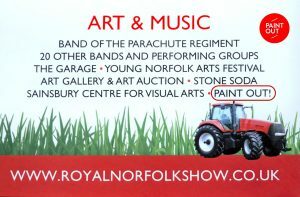 Paint Out, which began life in Norwich five years ago, takes to the road and will bring a dozen or more plein air artists to Sudbury, Suffolk, on 30 June 2018. This will be followed by a same-day pop-up art exhibition at St Peter’s of fresh artworks, straight off the easel. The wool (and now silk) town was home to Thomas Gainsborough, founding member of the Royal Academy, who inspired fellow notable artist, John Constable. 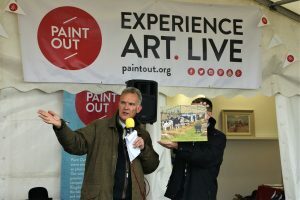 Modern outdoor artists follow in their tradition, painting in situ, and in Paint Out’s case with curious public onlookers as we invite passers-by to ‘experience art, live’. The picturesque scenery including the Water Meadows trail and River Stour, the bridges and old railway line, Mill, the market town itself, St Peter’s Church, Gainsborough’s house and period-planted garden, will all serve as landscape inspiration for our experienced outdoor painters and illustrators. 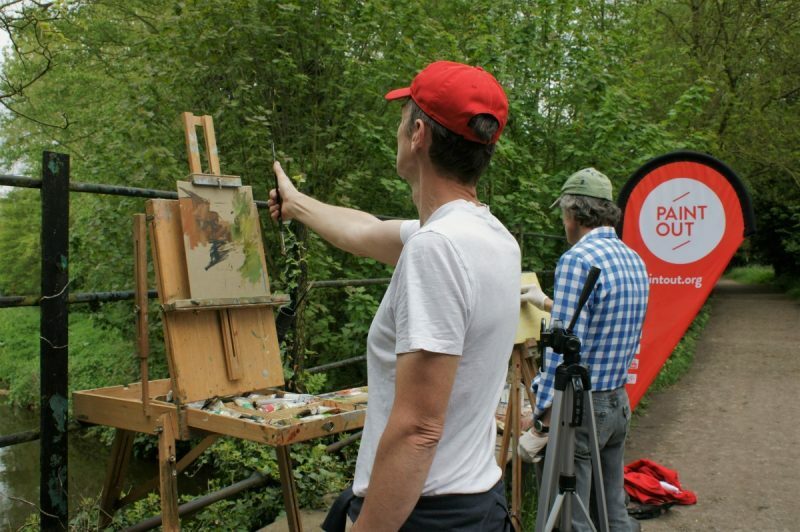 The artists will spend one day, across two intense open air painting sessions, 10-1pm and 2-5pm, recording local views on canvas, and then displaying and selling them in a pop-up one-hour art exhibition in St Peter’s Church, 6-7pm, which also hosts the Sudbury Summer Art Fair, 2-8 July. The artworks will all have been painted in under three-hours and many will still be wet, even with the sunny forecast! Just like the weather, they will be hot off the easel, and sold unframed, ‘painting-to-go’ so to speak, in carry away boxes, not unlike pizza boxes! 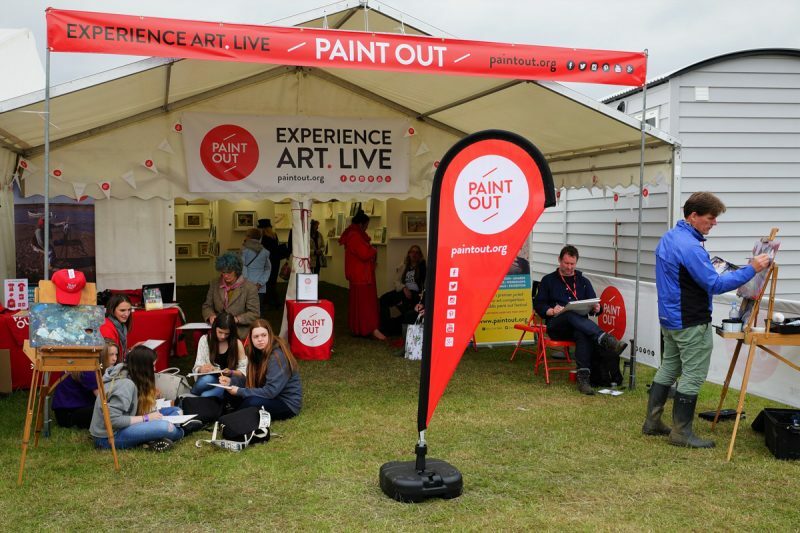 This is a process Paint Out first tried at the Royal Norfolk Show, last year, and has since continued, enabling art lovers to take away a fresh artwork, moments after it is painted, and then to frame it at their leisure and according to their preferred style. 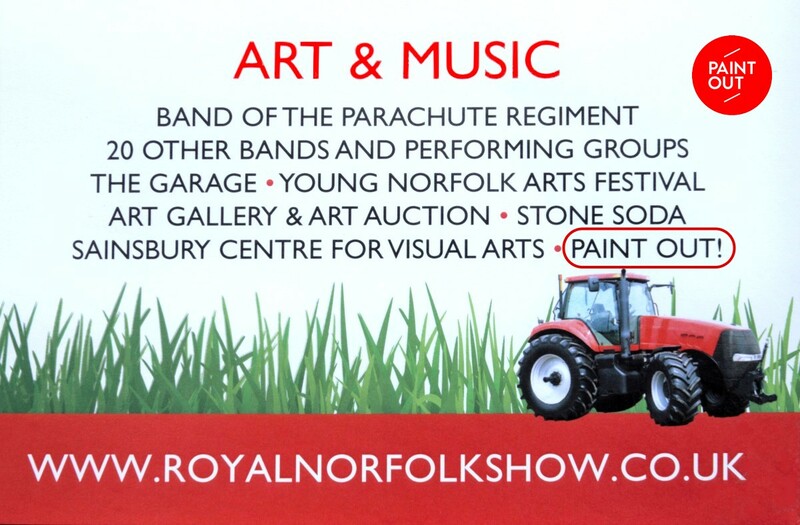 Paint Out began in Norwich in 2014 and has since run a dozen events in Wells-next-the-Sea, other North Norfolk towns, and five large scale multi-day events in Norwich itself, during the annual Hostry Festival (October 2018). Sudbury, is the first of many planned wider East Anglian events. Paint Out 2017 featured a select group of invited artists painting the UK’s largest two-day agricultural fair – the Royal Norfolk Show. With up to 100,000 visitors it is the premier event of its kind. It took, however, an adventurous, as much as artistic, spirit in each artist to seek out semi-sheltered locations from which to paint some challenging views with overbearing skies and a sea of tents and puddles. Some artists ended up sharing a sty with pigs, a tent with an owl, a marquee with chickens, the back of a van with rescued greyhound, or the awaiting-judging ring with cattle. 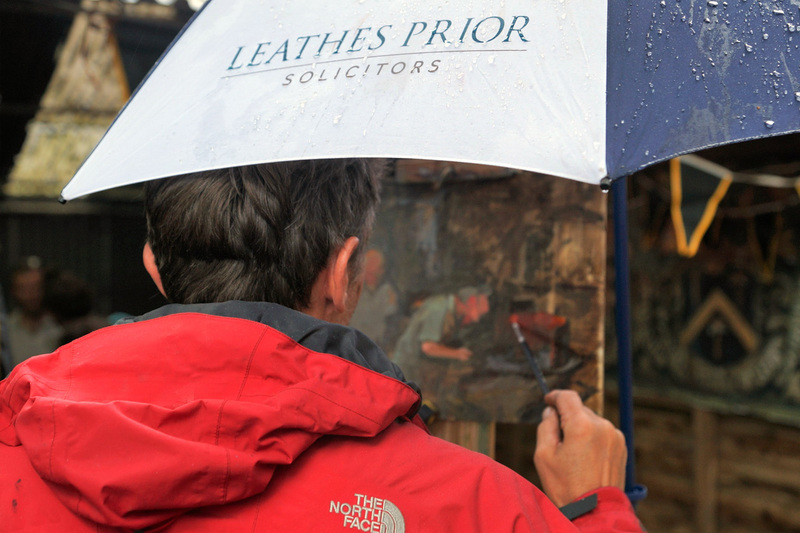 Our artists were positioned around the Norfolk Showground site, returning their wet artworks every few hours to our tent for labelling, pricing, and display in our contemporary pop-up art gallery. Sat next to the main art tent at the Royal Norfolk Agricultural Association showground the Leathes Prior sponsored Paint Out tent was filled with art made on the day. There was an auction of the still-wet fresh art on the Wednesday 28th by Arnolds Keys fine art auctioneers and a rolling gallery exhibition and sale of paintings from shortly after 8am 28 June to 6pm 29 June. 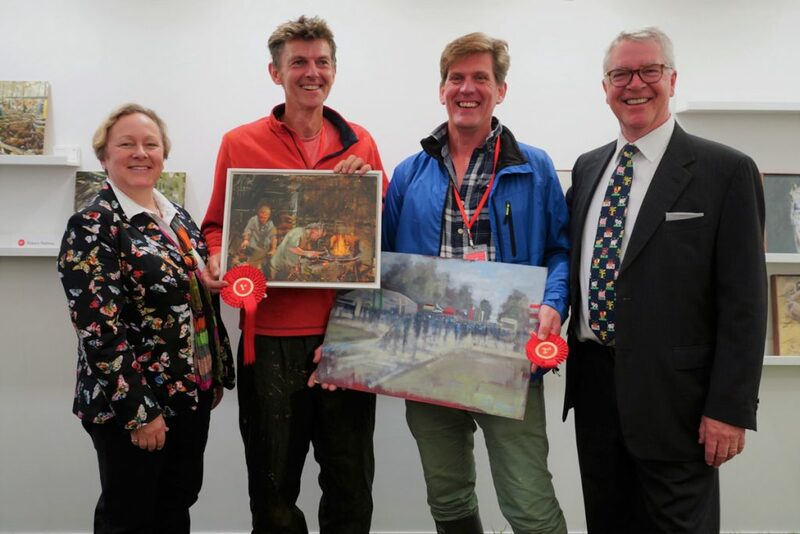 Archant newspapers sponsored and presented £500 of prizes for First and Second places “Best in Show” paintings to Robert Nelmes and Tom Cringle. Norwich Art Supplies provided the art materials voucher prizes, presented to Haidee-Jo Summers and Mo Teeuw, for the jointly-shared ‘Spirit of Plein Air‘ award. View the Gallery of artworks painted at the Royal Norfolk Show, the winners, and those still for sale.